The AIIT’s Pakistan Visiting Fellow, Dr. Zakirullah Jan, gave a lecture on 11th March on his fieldwork in Pakistan. The talk was entitled: ‘In Quest of the Indus Civilization in the Gomal plain, Northwest Pakistan’, and was well attended. 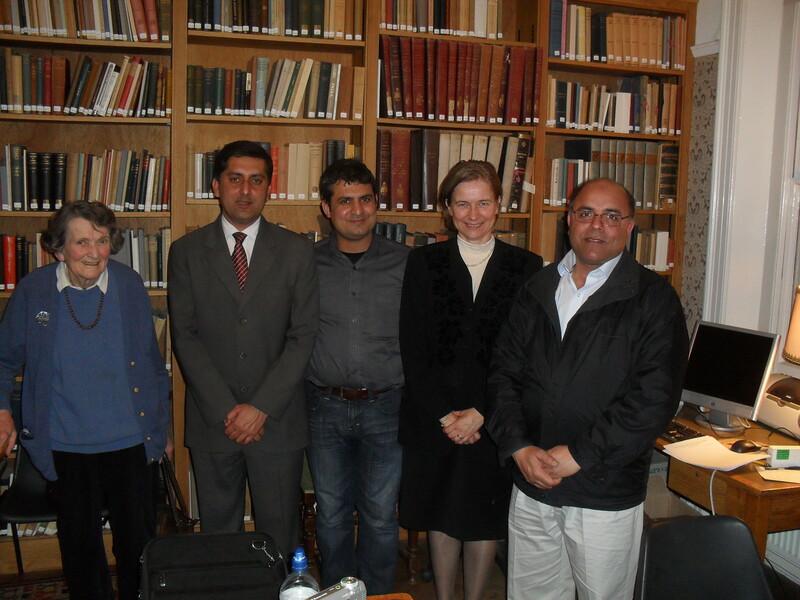 Below is a photo of Bridget Allchin with Zakirullah, Almut Hintze and other lecture attendees.